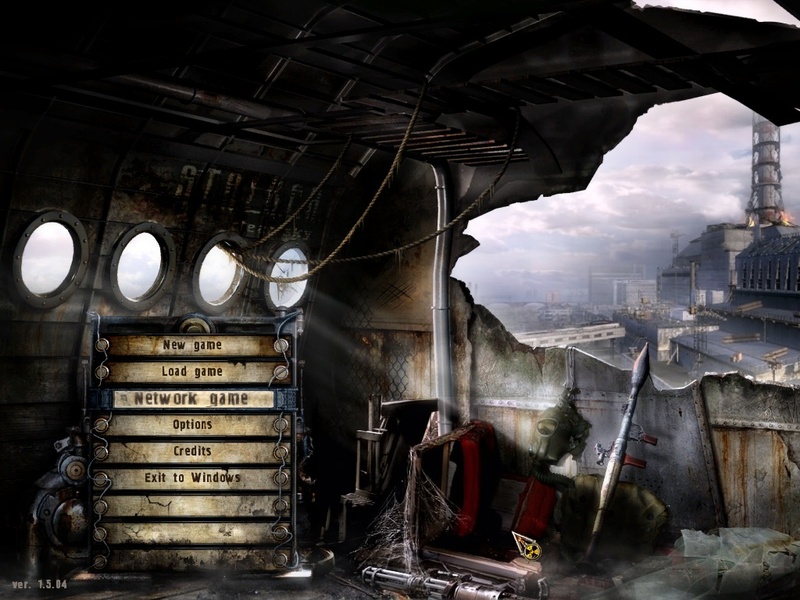 I got STALKER Clear Sky as a Gift! I got this surprise in the mail yesterday...I like surprises like this! Unfortunately, I'm going to have to turn down some of the eyecandy more than I want to so that the game is playable. On High settings @ 1400x960 it's a bit too much for my 8800GTS to cope with even overclocked. Oh well, ya do whatcha godda do! I'm just starting the game so here's a screenshot to give you and idea of what I'm talking about. Last edited by MUff1N; 25th September, 2008 at 12:56 PM. This game is Very Demanding on the Graphics card & Memory!!! Because I didn't want to turn the graphics down from High settings, I had to reduce the resolution down to 1152x864 before it would play smooth with fast response times on the mouse look. Someone try and convince me as to why I should give this game a chance. Not meaning to sound pessemistic, but from what I've read and seen of it, I'm just not feeling anything. i only played for 10 minutes before it crashed so i'm going to wait for them to fix the bugs before i attempt playing again. Crysis is keeping me distracted until then. Forgive my ignorance, but, for me, STALKER just looks like a cross between Half Life and FEAR, and I only really enjoyed the latter. "I" enjoy playing it & that's all that really matters to me. Actually the game is very none linier, compared to most games & it's nothing like Rainbow Six, HL2 or FEAR at all. Yes there is a storyline, but the storyline changes depending on your actions in the game. For example there is 6 different endings to the first game depending on what you do during the game. There is also day & night as you play the game (you can watch the transitions happen while playing) with aspects of RPG, strategy & economics as well. 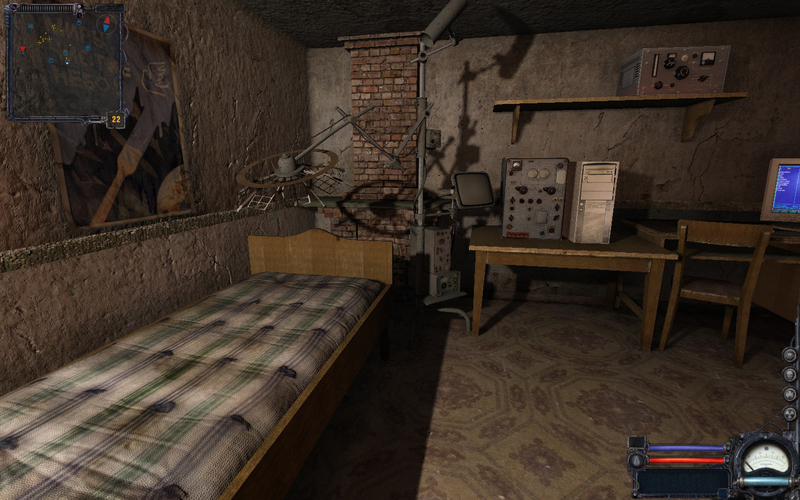 If you didn't play the original game Shadow of Chernobyl, then this game isn't going to make a lot of sense to you. As far as the gameplay, you either like it, or you don't. Btw, I installed the update patch 1.5.04 EN & the game hasn't crashed once on me yet unlike the first one did. There is also a NoDVD patch out for it too for the update patch so you don't need the DVD in the drive to play the game. I always use NoDVD/CD launch.exe's for all my games so that the drives & disks stay in good condition. Final Note: To have all the "Eyecandy" turned on you really need to have 2 powerful graphics cards in SLi or Crossfire to have it look like it does in the preview videos!!! This game IMO is even more demanding than Crysis on your system & graphics card(s)! Last edited by MUff1N; 28th September, 2008 at 12:44 PM. For me, anything under 50-60 FPS is too slow & it really bothers my eyes. Also, the reaction time on mouse movement (mlook) is to slow & laggy for me at those lower framerates. If you can't react fast enough (Like being shot from behind), you die...simple as that. Not only that, but with headshots you can take an enemy out much quicker & I need optimal mouse movement control for that to be effective at it. Btw, if you click Advanced graphics settings, you will probably see, that not everything is enabled even at Maximum settings. Like Wet surfaces & the other advanced settings. 1 card can't render that fast enough unless it's a 9800GX2 or a HD 4870 x2 which are really 2 graphics cards in one. Last edited by MUff1N; 29th September, 2008 at 12:48 PM. I think the attachment just swayed my decision. I'm in! I played Shadow of Chernobyl and absolutely loved it! The only reason I purchased it was because it was on the clearance shelf at Target. So I figured "why not" and I didn't regret it. I havn't even finished it correctly and plan to play again. As for the sequel, I'm going to be running 2 9700GS in SLI. I hope they will cut it. If you want me to tell you "how" to get to the final Real ending of the game just let me know & I'll tell you what you need to do to get there. There are certain actions that you must do, or you will never get to the real ending of the game at the Chernobyl power plant. I was going to give you some hints, but decided that maybe you don't want them...so I took them off this post. But, if you want a hint to get you started in the right direction to lead you to the true ending of the game let me know...OK.
Last edited by MUff1N; 15th October, 2008 at 05:27 PM. No hints yet. I'll actually enjoy replaying it again and try to figure it out. If I get stuck or frustrated, then I'll PM you for some hints. Its a fun game to roam around in and do random missions without even achieving the main missions. 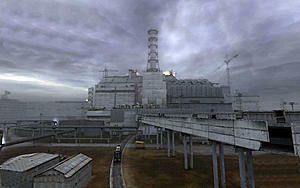 I do remember before I made it to the power plant, it was extremely hard. I got so frustrated because I kept dying. At that point I was just happy to play most of the game. That's about 2/3 of the game. The "real" ending of the game is even a bit tougher to get through to the final end being the Powerplant you see in the screenshot. Get the SEVA suit (in screenshot) before you go into the highly radioactive areas after the Freedom Border going into the Red Forest. It also has superior night vision that is very clear. This will save you from dieing a bunch of times. You can get that from the Scientists in Yantar at a decent price. Try to stock up on nothing but armor penetrating ammo too. You'll have to run some side missions & do a lot of trading before you'll be able to do this. Also, use the Artifacts to your advantage & wear them on your belt. For example the crystal (shown is screenshot inventory) that Skinflint gives you at the Freedombase for clearing out the bloodsuckers in the village reduces radiation by 30% if you wear it with no ill side effects! So hang on to that, you'll need it. There's even more to learn in the game if you play it for awhile. 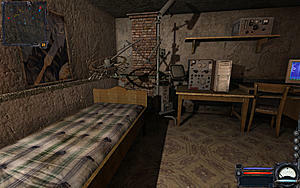 This is what I went into Red Forest & on to Prypiat with as far as suit, weapons & ammo. The crystal is next to the bandages in my inventory. Last edited by MUff1N; 16th October, 2008 at 12:03 AM. I've never seen that "scoped" rifle before. 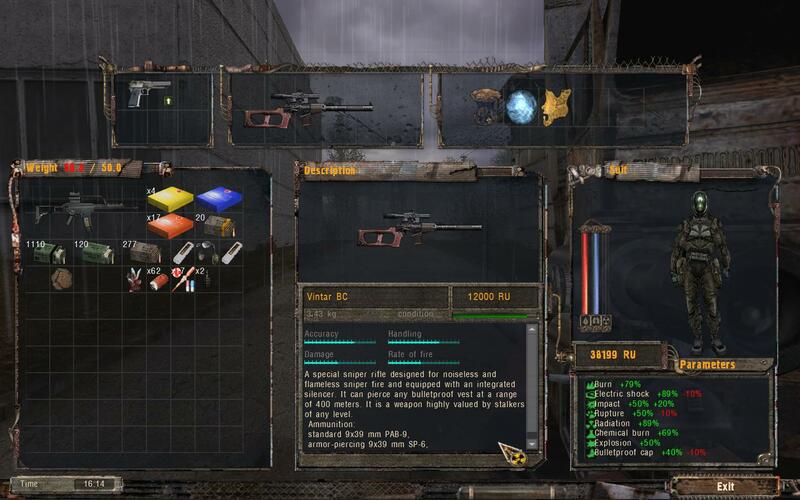 Thats why Stalker is so amazing, because it is very "thought through" so the gamer gets to have almost unlimited options. When you go into the Freedom Base, take a left turn after the bridge & it's inside the second barracks just laying on the floor to pick up for free! Its laying on the floor in the upper lefthand corner. The Vintar BC is by far the best sniper rifle you can use in the game with the most damage & there's lots of ammo for it just picking it up off guys. It has a big arch to the trajectory at distances, so you have to compensate by aiming high to hit targets a long way off. But one headshot will take anyone out! There's lots of stuff to find all over the place but you need to take the time to thoroughly search areas & buildings to find them. Last edited by MUff1N; 16th October, 2008 at 10:52 PM. OK HOW did you kill the Ram boss in HL2 Episode 1?!? I've throw a ton of exploding oil drums at it. IF you are talking about the Ant-Lion Guardian, I usually kill it with the Stake bow. Only takes 3 of them. Last edited by MUff1N; 17th October, 2008 at 01:55 AM. I'll try to update this tonight and find the correct name for him. I have looked on the web to no avail.